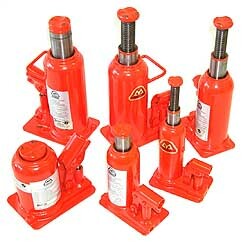 These top quality jacks should not be confused with lower standard jacks, featuring cast iron base and top nuts. CAPACITY CLOSED HEIGHT HYD. TRAVEL EXT. SCREW HEIGHT TOTAL HEIGHT HYD. JACK PART No. REPAIR KIT PART No.